There is so much to know about different types of mold, how to identify them and what their potential health hazards are. Our Fungal Gallery give a brief overview of the most common problem molds, with links to more details and images on each mold type. Keep in mind, it is always best of contact a professional when it comes to mold remediation. Chronic or widespread mold problems are a serious health concern, and the average person cannot tackle it alone. Professionals have the knowledge and experience to safely and effectively get rid of mold in your home. There are 12 to 21 named species of Absidia. 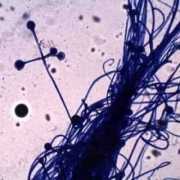 They are filamentous fungi that are cosmopolitan and ubiquitous in nature as common environmental contaminants. They are usually found in food, plant debris and soil, as well as being isolated from foods and indoor air environments. They often cause food spoilage like on decaying vegetables in the refrigerator and on moldy bread. A toxigenic mold type that evolves in its appearance over time. It first starts out as a small moist mold that turns into a fine powdery substance. Acremonium mold is often pink, grey, orange or white in color. It typically grows in household systems and areas such as condensation from humidifiers, cooling coils, drain pans and window sealants. Alternaria is the most common form of allergenic mold in the world. It is a velvet-textured mold with dark green or brown hairs and typically grows wherever dampness occurs. In homes, this is commonly in showers, bathtubs and below leaking sinks. Alternaria is also a common species that appears as a result of water damage to a home or buildings an allergenic mold, alternaria causes asthma-like symptoms including in the upper respiratory tract, nose and mouth. Because is spreads quickly, it’s important to remediate alternaria mold immediately before it overtakes a home. Arthrinium is a cosmopolitan filamentous fungus isolated from plant debris and soil. It is a contaminant, found commonly on dead plants and in soil. Generally it is not considered to have much health significance, but one species is reported to be an allergen. A large category of spores (produced in a sac-like structure) that are found everywhere in nature and include more than 3000 genera. Most ascospores of health importance are identified separately by their genus (e.g. Chaetomium) , and ascospore category is used primarily on IAW reports for a large group of less important spore types often found in quantity on outdoor and indoor air samples where the spores do not appear to represent any significant pathogen or allergic affect. A common mold found in American households. It has long flask-shaped spored that can form thick layers or walls of mold. This creates long chains of mold growth on surfaces. Because there are over 185 species of aspergillus mold, it can appear in many different colors. Aspergillus is an allergenic mold, but it is also capable of becoming more toxic depending on the species and the environment affected. It can lead to symptoms such as asthma attacks, lung infections and respiratory inflammation. 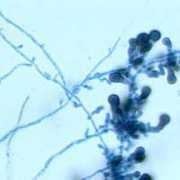 Certain aspergillus mold species are capable of producing aflatoxins, a know and deadly carcinogen. An allergenic mold that can sometimes be found behind wallpaper or on painted or wooden surfaces. 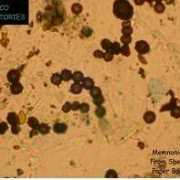 Aureobasidium usually develops in a pink, brown or black color. As it ages, it typically turns a darker brown color. 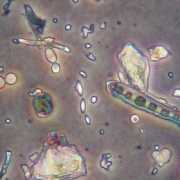 The primary health risk of aureobasidium is its ability to cause infections of eye, skin and nails. Because of its potential to cause dermatitis (skin rash), it should never be touched directly with bare skin. Bipolaris includes important plant pathogens with worldwide distribution. It is often found on rice, corn and field crops in the form of leaf spots, leaf blights and root rot. This genus has produced devastating diseases on these staple crops, causing historical famines resulting in the starvation of large human populations in several regions in the world. Botrytis Blight on Wine Grapes Botrytis affects many plant species, although its most notable hosts may be wine grapes. The blight can attach all parts of the plant except the roots. 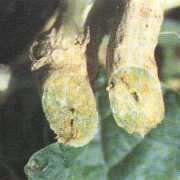 In horticulture, it is usually called “grey mold”. Standing water on plant leaf surfaces provides a place for spores to germinate. Humid conditions can result from improper irrigation practices, plants placed too close together resulting in inefficient ventilation and air flow (particularly in green houses). 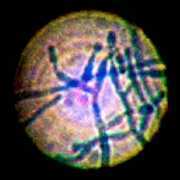 Candida Albicans is an opportunistic pathogenic yeast that is a common member of the human gut flora. It does not proliferate outside the body. It is detected in the gastrointestinal tract and mouth of 40-6-% of healthy adults. 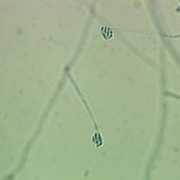 Candida albicans is one of the few species of the genus Candida that causes the human infection candidiasis, which results from an overgrowth of the fungus. Several key symptoms indicate an overgrowth of candida, including oral thrush, recurring genital yeast infections, digestive issues and fungal infections of the skin and nails. 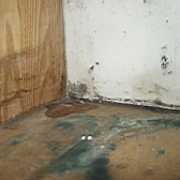 A mold commonly found in water-damaged homes and buildings. 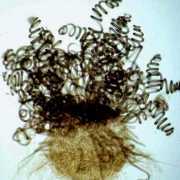 Chaetomium has a cotton-like texture and usually changes colors from white to grey to brown and eventually to black over time. Chaetomium mold is usually found in a damp or leaking roof, basement or stink and may be recognizable by its musty odor. Chaetomium mold causes health effects such as skin and nail infections. The reticulate (net-form) fruitbody (plasmodiocarp) is distinctive in that it has bright red dots scattered along the length of the peridium (outside wall). The spore mass is black with flecks of white, slimy knots. An allergenic mold type. It is unique in that it can grow in both warm and cold conditions. It is often found thriving in indoor materials such as fabrics, upholesteries and carpets. It also presents itself under floorboards and inside cupboards. 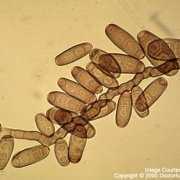 Cladosporium is an olive-green or brown colored mold with a suede-like texture. Cladosporium typically causes allergic reactions to the eyes, nose, throat and skin. Exposure causes skin rash and lesions, asthma, lung infections and sinusitis. While not considered to have toxic properties, cladosporium should not be handled directly due to its potential for causing skin and lung irritation. A genus of fungi (cylindrocladium), mostly plan pathogens that attack over 100 woody ornamental shrubs and trees as well as foliage plants including asparagus ferns and palms. It causes diseases that are favored by humid, warm conditions and overhead irrigation. Over-fertilization and other plant stresses may contribute to the problem. Cylindrocarpon occurs in soil as a saprophyte or weak pathogen associated with roots of many herbaceous and woody plants. Mycelial growth plays a major role in the survival of the fungus in soil and its spread to new substrates. 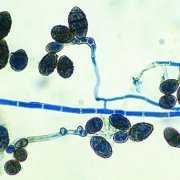 Conidiospores and chlamydospores are also produced. A fungus in the phylum Ascomycota that is widespread and produces colored pigments. Epicoccum nigrum can be used as antifungal agents against other pathogenic fungi. A mold capable of growing and spreading even at colder temperatures. It is both an allergenic and a toxigenic type of mold that grows in homes with water damage. Typically, fusarium will grow in carpeting, wallpaper and other fabrics and materials. 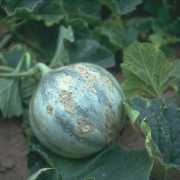 Fusarium mold is often pink, white or reddish in color and naturally grows on food products and in compost. Exposure to fusarium can cause skin infections as well as allergic reactions symptoms such as sore throat, running nose, sneezing, itchy eyes and dermatitis. Prolonged exposure to fusarium can cause other sever and life-threatening conditions such as bone infections or a brain abscess. Fusarium can produce toxins that are damaging to the nervous system and can potentially lead to hemorrhages and internal bleeding. By nature, it will quickly spread from room to room. If you notice it in one area of your home, examine the rest of the home thoroughly for signs of it elsewhere. A widespread fungus that is most frequently associated with grasses, plant material, decaying food, and soil. It is commonly found on celery and rooted vegetables. Celery should be fresh and washed with GSE (Grapefruit seed extract) to kill fungi before consumption, especially for people who have already been exposed to toxigenic molds. NOTE: Mutated forms of fungi are harder to destroy. Closely resembles the Stachybotrys mold, and can generally be found growing together. They are both considered toxic and produce the same types of allergic symptoms in humans. The major difference relates to size – memnoniella mold is smaller, making it easier for it to penetrate the lining of the lungs.Although it does not usually produce life-threatening health problems, it can seriously affect asthma sufferers and persons with various common allergies. The most typical symptoms include throat irritation, eye and nose itchiness and rashes. Spending time in a closed-in area that is infected with mold and mildew can eventually erode a person’s autoimmune system, causing symptoms to gradually increase in severity. An allergenic form of mold that usually grows in thick patches. It is often white or greyish in color and grows quickly. It most often grows near air conditioning, HVAC systems and ducting due to moisture from condensation. 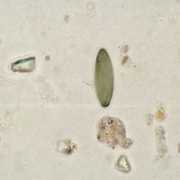 Old, damp carpets can also grow mucor spores. Mucor causes a range of health problems particularly affecting the respiratory system. When exposed to mucor, it can cause asthma or worsen existing asthma conditions. Mucor also causes difficulty breathing and flu-like symptoms including fever and malaise. In very sever and unfortunate cases, someone who faces prolonged exposure to mucor can develop mucormycosis, a fungal infection that can damage the sinuses, lungs and even the brain. It can also infect the eyes and nose and eventually become systemic in the blood, digestive or renal systems. For this reason, it is vitally important to contact a mold remdiation professional to handle the removal of mucor. Never inhale or handle mucor spores without mold remediation equipment and safety gear. 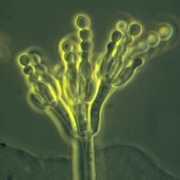 A species of fungus that is a plant pathogen. It is common throughout the world, often found on materials such as paper, textiles, canvas and cotton. It is a highly potent cellulose decomposer. A contaminant/opportunistic fungus found world wide in soil and decaying vegetation, associated with pulmonary and sinus infections in those who had organ transplants, as well as inflammation of the cornea. Some reports of allergies, humidifier associated illnesses, and pneumonia. An allergenic form of mold. It is easily recognizable by its characteristic blue or green colored surface with a velvety texture. Penicillin mold is often found in water damaged homes and buildings. It is found in materials such as carpets, wallpapers, ducting and even in mattresses. It spreads quickly from one area of the home to the next.Unfortunately, though penicillin is responsible for important antibiotic production and food processing capabilities, it is also the cause of terrible respiratory conditions when it grows indoors. 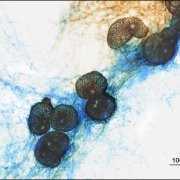 A common soil fungi that contains many plant pathogenic species.The most important species include phoma beta which is the cause of the heart rot and blight of beets, and phoma batata that produces a dry rot of sweet potatoes. 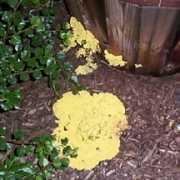 A bright yellow slimy blob is commonly seen in the summer on mulched flower beds. It is not pretty, unless you like yellow, and it soon gets uglier. The yellow blob turns gray, becomes hard, then breaks down into a brown powder. People complain that the yellow blob looks like dog vomit and that the brown powder stains sidewalks. Known as the nefarious “black mold.” It is a toxigenic type of mold that can also cause allergic reactions. 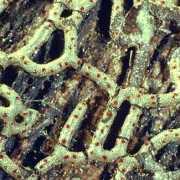 Stachybotrys mold is dark greenish or black in color and has a slimy texture. 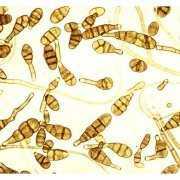 Stachybotrys thrives in damp, wet areas with humidity levels that maintain these environmental conditions for weeks. It is know for growing on cellulose material such as wood, cardboard, paper, hay or wicker. 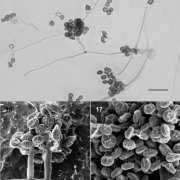 Stephanosporium is a genus that lacks a known sexual state and thus belongs to the Fungi Imperfecti. It is a species of Oidiodendron cerealis, which is quite distinct from other Oidiodendron species, and is often placed in a separate genus Stephanosporium by some taxonomists. 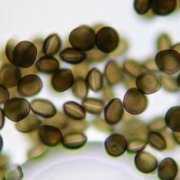 It has distincitve spores and can be recognized on spore trap samples. It is generally classified as a dematiaceous (dark-walled) fungus. This genus is most closely related to Dactylaria and Scolecobasidium. Opinions differ regarding the taxonomy of these three genera and are considered by many to be synonyms. All three genera are listed in Ainsworth & Bisby’s Dictionary of the Fungi as legitimate genera. An allergenic mold type with five different subspecies. It’s generally white in color with green patches. Trichoderma mold colonies grow rapidly as wool-textured clusters and then become more compact over time. It commonly grows in the home on wet surfaces including within wallpaper, carpet and other damp fabrics. It thrives in moist areas, and so you may also find it in air conditioning filters and HVAC system ducts where there is a buildup of condensation. Ulocladium is a darkly pigmented mold commonly found in the soil and on paper, textiles, dung, emulsion paint, fibers and wood. This mold thrives in wetness and water. It is usually black in color. Ulocladium is typically found in homes and buildings that have experienced extreme water damage. It can be found in kitchens, bathrooms and basements, as well as around windows with high condensation levels.